Like many other companies before us, FunTear started out of a passion. 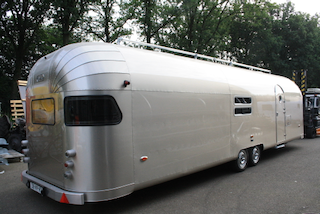 The passion for aluminum riveted trailers is what lead to FunTear. 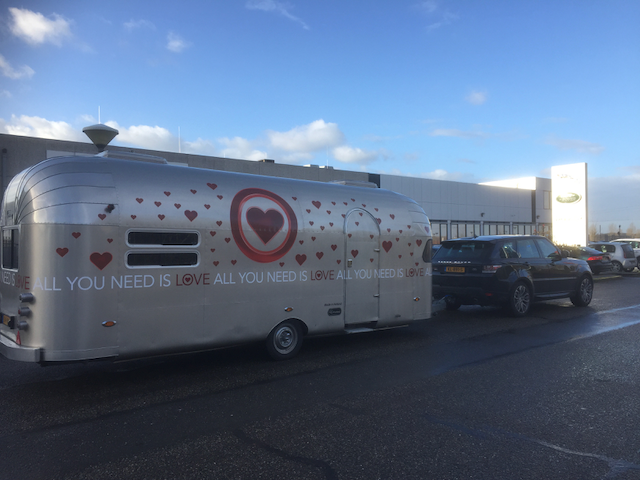 It started in 1999 when founder René Leenders got the idea to do something completely different for the promotion of his Catering & Event business. That resulted in the purchase of a 1973 aircraft style aluminium caravan. Almost immediately that proved more complicated than expected. 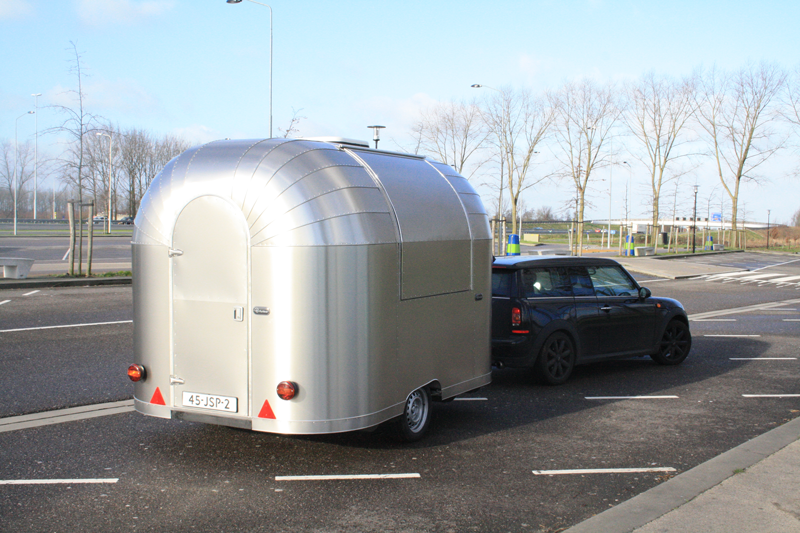 An American Aircraft Style caravan is not a simple caravan to be towed by an average European car. In terms of restoration it was something completely different. 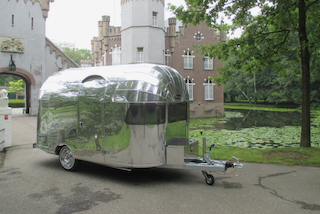 The search for aluminum restoration, polishing, rivets and braking techniques ultimately resulted in being the importer of the well known Airstream brand for their European product between 2008 and 2013. 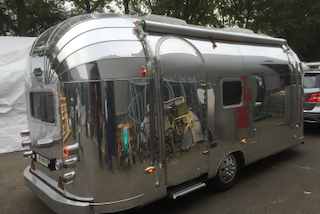 To this day we still import US Airstreams and convert them to EU standards with our unique European type approved brake systems. FunTear was originally founded to manufacture our own little teardrops in the same fashion as the large aluminum trailers are produced. That is where the contraction of the word ‘FUN’ and the word ‘TEAR’ originates. Our construction methods differ substantially from the commonly used sandwich panelled methods for this type of product. This creates a durable product that is completely hand built. FunTears are absolutely no mass product. The first FunTear Teardrop drawings date from 2006. All in all it took more than 5 years before the first FunTear Teardrop was available on the market. In 2017 the bigger version of our teardrop was released: The Big Bullet! 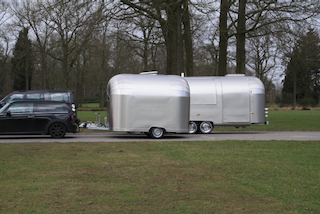 Whilst developing the teardrop and frustrated by numerous conversion problems with the imported USA trailers, the idea originated to ​​also build our own 100% monocoque aircraft style aluminium caravan. Inspired by the great 1950’s designs. 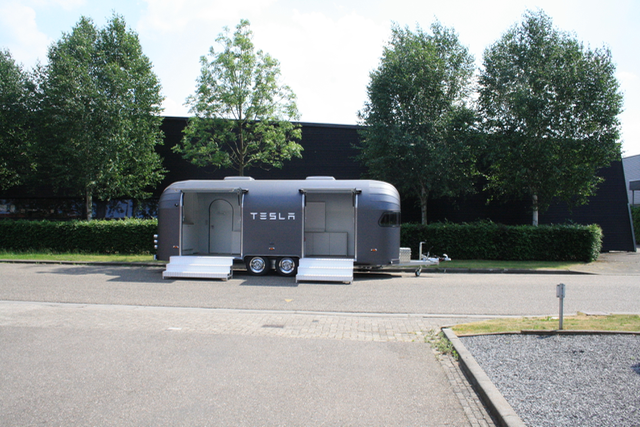 The 100% monocoque is a necessity for foodtrucks and promotrailers and was unavailable in the marketplace. 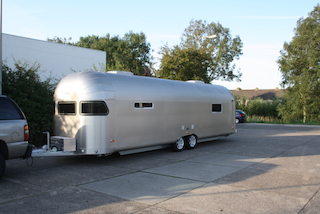 With 10 years experience at that point,in the restoration of aluminum trailers and solving the most unlikely problems the FunTear Retro was introduced in 2011. With many toppanel segments, flanges and rivets, but based on modern technology. Like our teardrops, the FunTear Structures are custom-built with and for our customers. Production takes place in full in our factory in Boxtel NL. In 2017 the model range has been updated with new sizes. In 2018 we introduced the all new clasic trolly top roof, new Cedar Wood and Fiber shell skins and the Tin Can Town concept for leisure parks. FunTear Retro trailers are truly lightweight. The most heavy FunTear (XXXL) is just 1500 kg. FunTear has its sales concept based entirely on customer requirements. 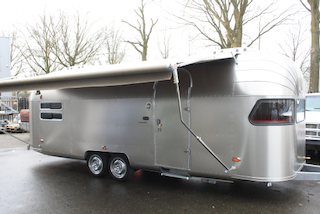 Each caravan/trailer is unique as where the sky is the limit. The philosophy behind FunTear is mainly determined by the word ‘FUN’. Owning a FunTear product is fun and customer involvement in the development of our trailers is something we consider essential. A FunTear is the ideal product to escape our hectic modern life. Slowing down in order to use it. Are you interested in our fantastic products? Please contact us for a personal appointment. Together we will make a plan to concieve your dream trailer. 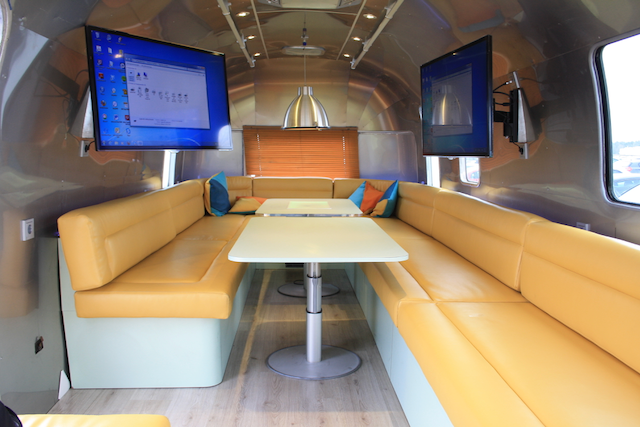 Of course we have enough examples in our factory to give you a good example of how your future caravan will look like. Creating a hand-built FunTear is not comparable with mass produced caravans built from standard materials. It is not meaningful to compare both products. We make almost all the parts ourselves and do not use mass produced windows, doors, etc. So please note that our commercial trailers start at aprox € 20.000 for the very minimalistic base vehicles and a minimum of € 50.000 is required for a touring caravan.